5 out of 5 stars based on 18 Wisdom Teeth reviews. I was very nervous for this procedure but the staff and Doctor were professional and made me feel comfortable throughout the entire experience. Thank you very much to Dr. Rethman and the entire staff. Several family members have been patients of Dr. Rethman without any problems or complaints. 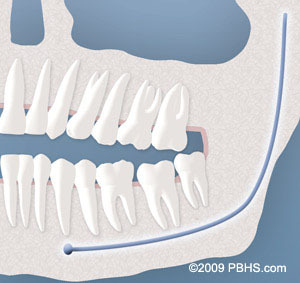 I experienced absolutely no pain or problems with my wisdom teeth extractions. I would highly recommend him and his staff. Dr. Rethman and his staff were phenomenal. For some reason, it took three months for the rest of one of my wisdom tooth's bone to make its way out of my mouth, other than that, great experience. Glad I was on insurance at the time. Dr. Rethman made me feel that I was in great hands, keeping me informed of all aspects of my procedure in real time and his knowledge of his business made me feel at ease. Dr. Rethman and his entire staff are very competent, professional, kind, and they each went out of their way to make us comfortable. The information was complete and easily understood, and Dr. Rethman was available at any time to answer questions and offer advice after the surgery. I can't recommend him and his office staff highly enough. Overall I had a good experience and would recommend Dr. Rethman any day of the week. Every person in this office seemed happy to be there. I was taken care of quickly. Dr. Rethman and his staff are exceptional at their jobs, amazingly kind, and did everything in their power to ease my nervousness. Dr. Rethman walks you through the procedure so you're not left wondering what is going on, and he checks in frequently with how you're doing. A+ to him and his team. i realy enjoyd the over all exp.and NO PAIN!!!! Happy with the service and helpfulness of Dr. Rethman and his staff. My 17 year old son recently had his wisdom teeth removed. 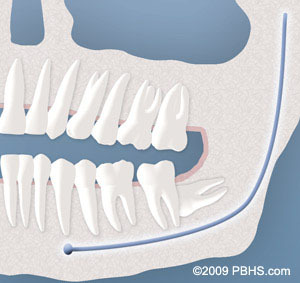 Prior to this procedure, two additional family members had the procedure performed by Dr. Rethman. Knowing Dr. Rethman's high level of education and experience, combined with his sincere interest in the care of his patients, the choice was easy to have Dr. Rethman conduct our most recent procedure. By the day following the extraction, my 17 year old son was pain free and did not require the use of prescribed pain medication. Dr. Rethman and his staff are friendly, professional and offer the highest level of medical care. Dr. Rethman and his staff made my wisdom teeth surgery as simple and painless as could be. I truly felt that the doctor cared about me and did not want me to feel any pain. He even made the IV process painless, something I had never done before and was very worried about. I honestly could not have asked for a better experience. Dr Rethman has worked on just about all my family throughout the years, from myself to my father and Grandmother he is a pros pro he is as professional as he is skilled I recommend him without reservations of any kind. Thank you Doctor to you and your staff. THANKS DR. RETHMAN, YOU DID A WONDERFUL JOB. PAINLESS AND VERY PROFESSIONAL. IF I EVER NEED MY LAST DAMNED WISDOM TOOTH REMOVED, YOU'LL BE THE ONE TO DO IT. THANKS AGAIN. When one is 74 years of age, you really don't want to hear that it's absolutely necessary to have an impacted wisdom tooth removed. Dr. Rethman did an unbelieveable job. I never even needed the pain killers I bought. Also, thank you, Janet, for your help. Dr. Rethman did a wonderful job!!! I had a terrible experience with a past Oral Surgeon ( I won't name any names) and Dr. Rethman helped me move past my fears and made my wisdom tooth extraction that much easier! Thank you Dr. Rethman and staff! !